A quality, chunky A5 notebook made by the good folk at Notebook Love. 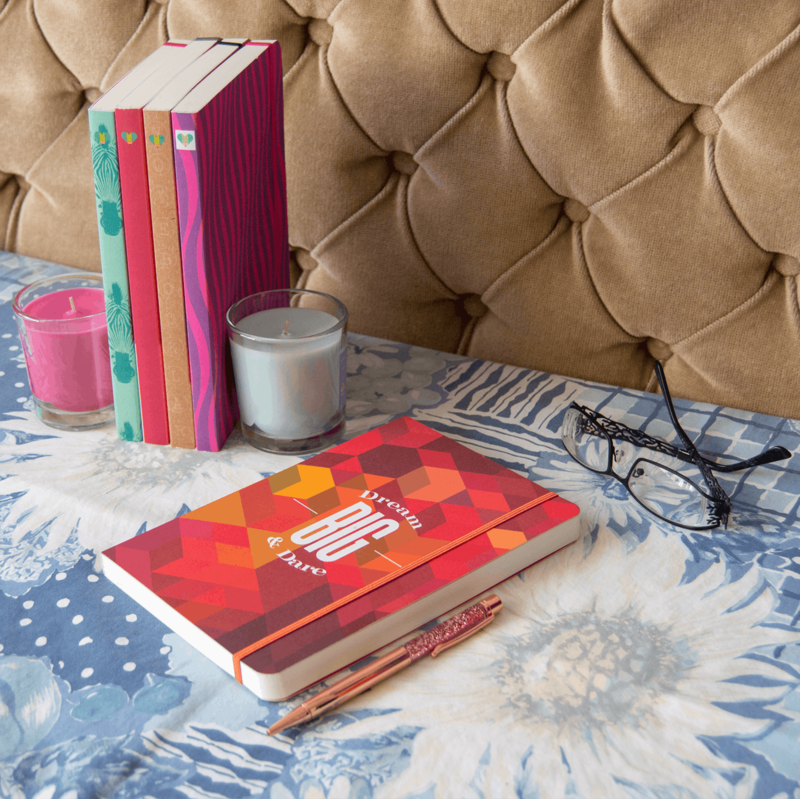 Featuring a deep and warm geometric design on a textured cover and the inspirational words, "Dream Big and Dare", this notebook will please any notebook lover. With 192 ruled cream pages (Forest Stewardship Council approved), elasticated closure and contrasting inside cover, it is perfect for writers, journalling, to-dos or the thoughtful gift. Happy to be your supplier anytime! Hope your friends enjoy theirs too!